1. In its previous Universal Periodic Review (UPR) of 2012, Israel accepted a recommendation put forward by Austria to “[e]nsure that human rights defenders are able to carry out their legitimate work in a secure and free environment”. Much to the concern of Front Line Defenders, the Israeli government has failed to implement the aforementioned recommendation over the last five years. On the contrary, the situation of human rights defenders (HRDs) working to protect and promote rights and highlight Israeli violations has continued to deteriorate since 2012. 2. Over the last five years, human rights defenders have faced violent threats and attacks, arbitrary restrictions on freedom of movement, travel bans, forced displacement, arrest, imprisonment and torture. Since its last review, Israel has particularly cracked down on human rights defenders seeking accountability at international courts for Israeli violations and on those involved in the Boycott, Divestment and Sanctions movement within Israel, the OPT, and worldwide. 3. Abuses committed by Israeli forces that are of particular concern include the continuing use of administrative detention of HRDs who denounce the occupation, the settlements and the construction of the wall; increased restrictions on the movement of Palestinian HRDs in the form of travel bans and visa restrictions for international NGO humanitarian workers; hostility towards NGOs that carry out human rights work; the drafting of laws and bills designed to restrict civil society space; curtailment of freedom of association, expression and assembly in Israel and OPT alike. 4. The broader human rights situation has severely deteriorated in Israel and the OPT in the last five years with impunity for Israeli forces and violent settlers who have committed serious violations. In 2014, the OPT witnessed a devastating Israeli attack on the Gaza Strip, known as “Operation Protective Edge”, during which a total of 2,215 Palestinians were killed, including 1,639 civilians of whom 556 were children. June 2017 marked the tenth anniversary of the unlawful closure of the Gaza Strip, which has led to severe restrictions on freedom of movement and access to medical care. 5. In the past five years, the Israeli government continued its use of legislation to limit the work of human rights defenders. On 6 March 2017, the Israeli parliament (Knesset) passed a new anti-boycott law barring entry or residency to non-Israelis who advocate for boycott, including of Israeli settlements. In July 2016, the Knesset passed a law on “Transparency Requirements for Parties Supported by Foreign State Entities”, which stigmatises rights groups. It requires NGOs that receive more than half their funding, directly or indirectly, from foreign governments to prominently display this fact in all of their publications, daily communications with the public and government officials, and before any participation in parliamentary hearings. A letter by members of the European Parliament in February 2016 attempted to discourage the passing of this legislation. It called on the Israeli Knesset to reject the legislation while noting that the law is “[...] inherently discriminatory. 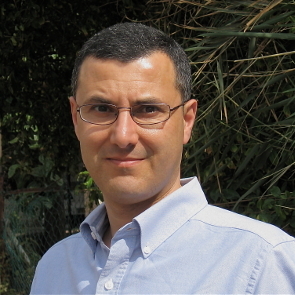 It is framed in a manner that delegitimises and demonises NGOs who promote and defend human rights, as well as the European states and institutions that fund them.” The adoption of this law has furthered the stigmatisation of human rights NGOs, such as B'tselem and Breaking the Silence, which have been subjected to smear campaigns by the State and settlers. 7. Those organising and leading protests against the Israeli occupation continue to be targeted by the security forces. On 6 February 2017, the “Regularisation Law” was passed, allowing for the legalisation of unlawful Israeli colonies on private Palestinian land. As a result, 4,000 housing units in 55 colonial outposts, built on private Palestinian land, will be legalised. While land annexation and appropriation has been an Israeli policy since 1967, this law will provide a significant tool for the Israeli government to confiscate private Palestinian property as part of its settlement enterprise. Human rights defenders opposing this law before and after its passing have been subjected to violations. 8. On 20 January 2017, several human rights defenders were arrested during a peaceful protest against the “Regularisation Law” and against recent calls by US President Donald Trump to move the US embassy in Israel from Tel Aviv to Jerusalem. During the aforementioned peaceful protest, Israeli occupation forces arrested human rights defenders Lema Nazeeh and Mohammed Khatib, along with four other peaceful protesters, near the illegal Israeli settlement of Ma’ale Adumim in the OPT. Israeli forces then went on to ill-treat Lema Nazeeh throughout her four days in detention at Al-Maskubiyyah prison in Jerusalem. On 23 January 2017, Israeli occupation forces also arrested human rights defender Abdallah Abu Rahma as he attended the court hearing of the two aforementioned defenders. In a different case, Mohammed Khatib appeared before an Israeli Military Court on 7 May 2017 after three and a half years of lengthy court proceedings following his participation in peaceful demonstrations at Beit Il checkpoint, in the village of Bettin, on 7 March 2013. The human rights defender is facing three charges of entering a closed military zone, participating in an illegal demonstration, and disturbing the soldiers. On 6 June 2017, Ofer Military Court dropped the charge of disturbing the soldiers and sentenced him to 6 months in prison, suspended for one year. He has appealed this verdict. 9. In another case, on 30 March 2017, human rights defenders Badie Dweik, Anan Dana, and Younes Arar were arrested by Israeli forces during a Land Day peaceful march as part of the ”Dismantle the Ghetto, Take Settlers Out of Hebron” non violent campaign against illegal Israeli settlements in Hebron. The three Palestinian human rights defenders were released on 3 April 2017 on bail of 3,500 ILS (approximately 970 USD). They are accused of organising and participating in an unauthorised peaceful march and of planting trees on occupied Palestinian land. They are expecting to face military trial within the year. 10. Also facing military trial are prominent human rights defenders Issa Amro and Farid Al-Atrash who have appeared before the Israeli Ofer Military Court in the Occupied Palestinian Territory several times in 2016 and 2017 after delays in their trial by Israeli authorities. Issa Amro is the co founder of Youth Against Settlements and the Hebron branch of the International Solidarity Movement. 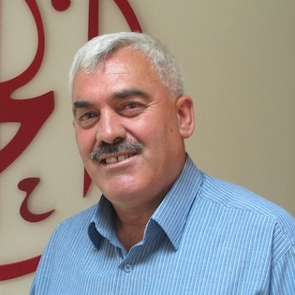 Farid Al Atrash is a human rights lawyer and the chairman of the Independent Commission for Human Rights in Bethlehem and member of the Popular Struggle Coordination Committee. They are both facing numerous charges brought against them by Israeli Court for their work as human rights defenders. 11. The use of administrative detention against HRDs is common in the OPT. Military commanders have the power to place individuals under recurring administrative detention for up to six months. In many cases, reasons for the detention are classified and judges routinely refuse to reveal the incriminating evidence to the detainees’ lawyers. For example, on 8 June 2017, Israeli authorities renewed for the second time the administrative detention of human rights defender and journalist Hasan Safadi for an additional 6 months. It had been previously extended on 8 December 2016 by the Jerusalem Magistrate’s Court. Hasan Safadi was due to be released on 10 December 2016 from the Negev Desert (Ktziot) prison, where he is currently being held. Hasan Safadi has been in detention since 1 May 2016, when he was arrested after returning from an Arab youth conference in Tunisia. 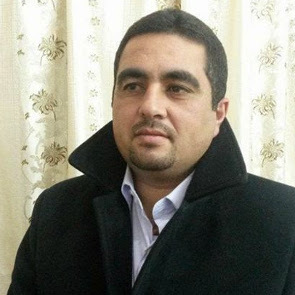 He is a media and communications officer with Addameer, a Palestinian non-governmental, civil institution that works to support Palestinian political prisoners held in Israeli and Palestinian prisons. While the administrative order against the human rights defender can be appealed, the vast majority of these appeals are rejected. The Addameer Prisoner Support and Human Rights Association stated that under existing administrative detention procedures, Palestinian detainees have no effective means by which to challenge administrative detention. 12. In another case on 17 July 2016, the Israeli Ofer military court issued an administrative detention order of six months against human rights defender Hasan Karajah, who is the youth programme coordinator at the Palestinian Grassroots Anti-apartheid Wall Campaign (Stop the Wall). He was arrested on 12 July 2016, and to date has not been informed of the charges against him. A confirmation hearing session of administrative detention was set for 21 July and was postponed. 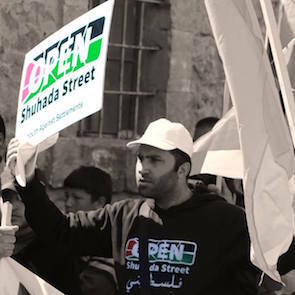 On 28 July, the administrative detention order was confirmed without a hearing. 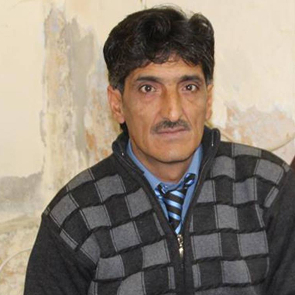 He is currently detained at Ofer prison, an Israeli prison located in the West Bank. According to Palestinian human rights organisation Addameer, as of October 2016, over 720 Palestinians, including many human rights defenders, were being held under administrative detention orders. 13. HRDs in Palestine are regularly targeted by Israeli forces, both inside and outside military courts, in an attempt to deter them from their legitimate and peaceful work to monitor and document Israeli violations. In addition to judicial harassment, HRDs are subjected to physical threats and assaults from Israeli occupying forces and extremist settlers. In one case, on 24 February 2017, Israeli soldiers arrived at the home of Badie Dweik at around 1:00 am, pushed him into a corner, grabbed his camera from him, and threatened him and his colleagues with arrest if they participated in a peaceful protest that was to take place on that day as part of the “Dismantle the Ghetto, Take Settlers Out of Hebron” campaign. 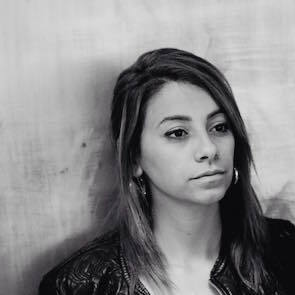 Dweik is a leading member of the Human Rights Defenders Forum in Palestine and collaborates with the Hebron team of human rights observers coordinated by the Ecumenical Accompaniment Programme in Palestine and Israel. 14. Israeli soldiers as well as settlers have also physically assaulted and threatened human rights defenders over the past five years. A recent example of such threats and physical attacks is the case of Imad Abu Shamsiyya and his family. The human rights defender has lived at risk of reprisals following the conviction of an Israeli soldier, Elor Azaria, for manslaughter on 4 January 2017. Elor Azaria shot in the head and killed a wounded Palestinian man as he lay still and unarmed on the ground in the Old City of Hebron after he had attacked Israeli soldiers. Imad Abu Shamsiyya had filmed the incident and uploaded it to the Internet. He and his family were subsequently subjected to a series of threats, including death threats, and physical assaults. On 8 January 2017, an Israeli solider was caught on film searching and harassing Imad Abu Shamsiyya’s son, Awni Abu Shamsiyya, as he was walking home in the Old City of Hebron. The video of the search, depicts an Israeli soldier aggressively patting down the 17 year old for no reason. Another video, shows young Israeli settlers on 7 January 2017 loitering outside of Imad Abu Shamsiyya’s home and insulting him and his family members after throwing stones at their house. 16. Harassment and persecution of human rights defenders by Israeli officials has been directed increasingly towards those involved in the Boycott, Divestment and Sanctions (BDS) movement. Officials have publicly called for “targeted civil eliminations” of BDS leaders and declared that they should “pay the price” for their work. Accordingly, Israeli authorities have increased surveillance and cyber attacks on human rights defenders, while punishing them for their work via issuing travel bans and revoking Israeli residency permits for “lack of centre of life in Israel” or, more recently, “breach of loyalty to the State of Israel.” For example, on 10 May 2016, human rights defender Omar Barghouti received confirmation of the official refusal by Israeli authorities to renew his travel document. The human rights defender has been informed that the refusal to renew the travel document is a first step towards the eventual revocation of his permanent resident status. 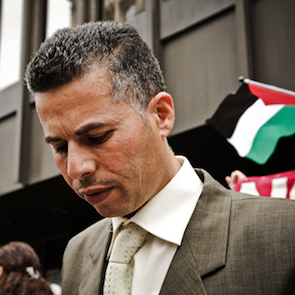 On 19 July 2016, the Haifa District Court ordered the Israeli government to re-examine its decision to deny Omar’s permit, allowing him to travel while his case is being examined. 17. There exists a fear that this persecution of BDS activists is becoming institutionalised. In March 2017, the Israeli Strategic Affairs Minister Gilad Erdan announced his intention to set up a database of Israeli citizens who are involved in promoting and supporting BDS against Israel or the settlements. 18. Human rights defenders and organisations working to seek accountability for Israeli violations have also been subjected to pressure. In 2015 and 2016, attacks were carried out against two major Palestinian organisations working on submissions to the International Criminal Court (ICC). On 10 August 2016, a staff member of Al Mezan Centre for Human Rights received an email from an anonymous person threatening him and his family with death. This is part of a systematic campaign of incitement, pressure and intimidation against the organisation. Similarly, in early 2016, Al Haq received numerous threats. The organisation announced that on 1 March 2016, Shawan Jabarin, human rights defender and General Director of Al Haq, received death threats over the phone from an anonymous caller. The threats came in the context of increasing harassment of Al Haq and its members because of their attempts to use the ICC to seek justice for human rights violations being committed in the OPT. Nada Kiswanson is yet another human rights defender being targeted for her work on the ICC in her capacity as a human rights lawyer. Also with Al Haq, she is working with the ICC in the Netherlands as it probes possible war crimes committed by Israel against Palestinians. She has received death threats, intimidating phone calls, emails and a bouquet of flowers with an ominous message, threatening the lives of herself and her family. Repeal the aforementioned laws and reject all proposed bills that curtail the work of NGOs and HRDs. This includes repealing the law on “Transparency Requirements for Parties Supported by Foreign State Entities”, the “Anti-Boycott” laws and the “Nakba Law” and ensuring that freedom of expression and assembly are upheld and guaranteed.